Following on from the last update (See here) the EVO IV conversion has really come on leaps and bounds. Eric Bresser has sent us the following update. 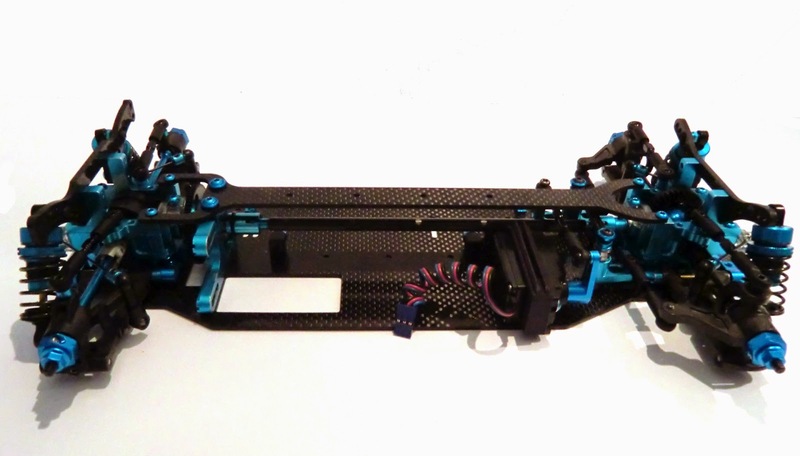 After the last update I designed the new carbon plates and a new servo mount in a cad package. I am really happy with the results, especially with the floating servo mount as it was complex to create in the cad package, but the end results are great. 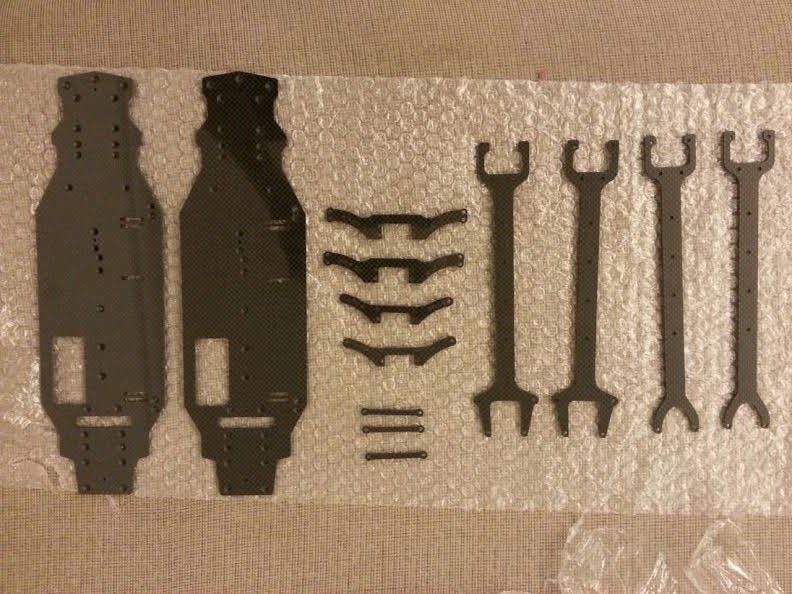 As you can see there are two of each of the the carbon parts. I wanted to try a range of flex to see what would work, also you can see the upper decks and two types of design that I was keen to track test. Here is the rear of the top deck, you can see the TB04 gear diff installed in the car. 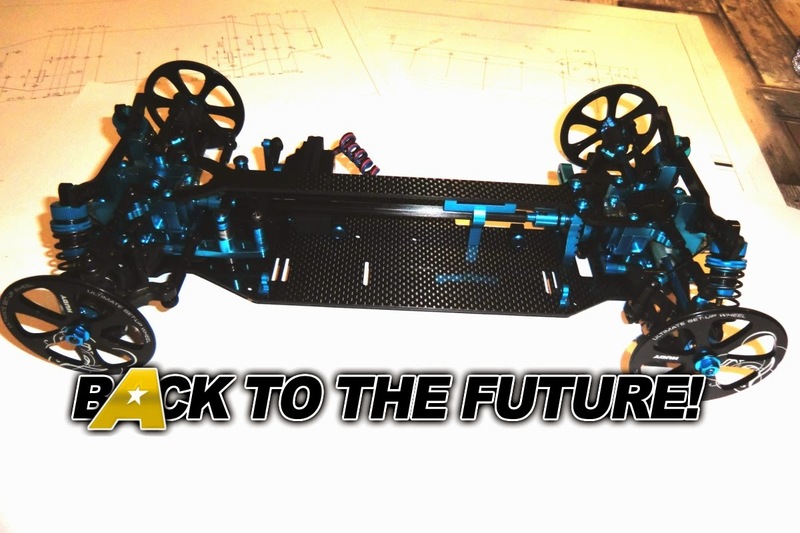 Here are the rear towers, you can really notice the low stance of the car now its using the low profile shocks. 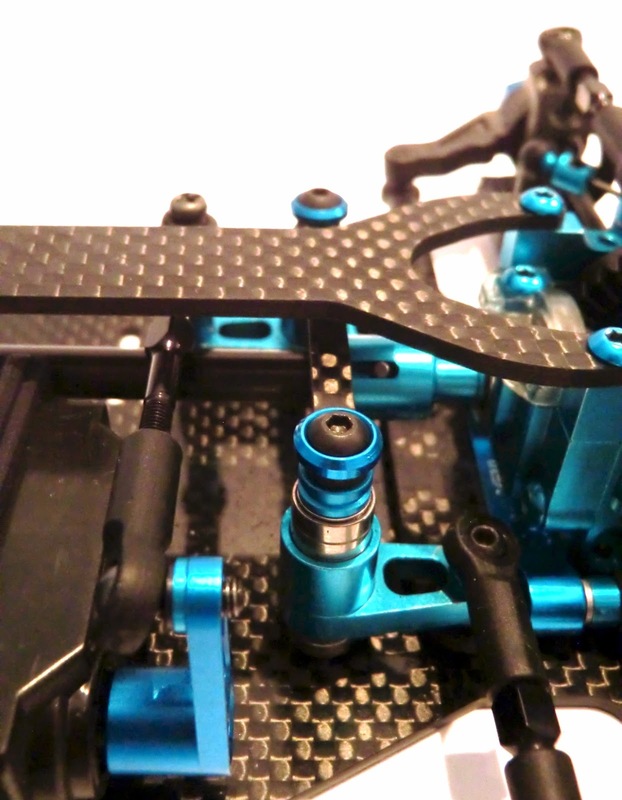 The brace is mounted on the steering arms and mounted higher to pass over the prop shaft. 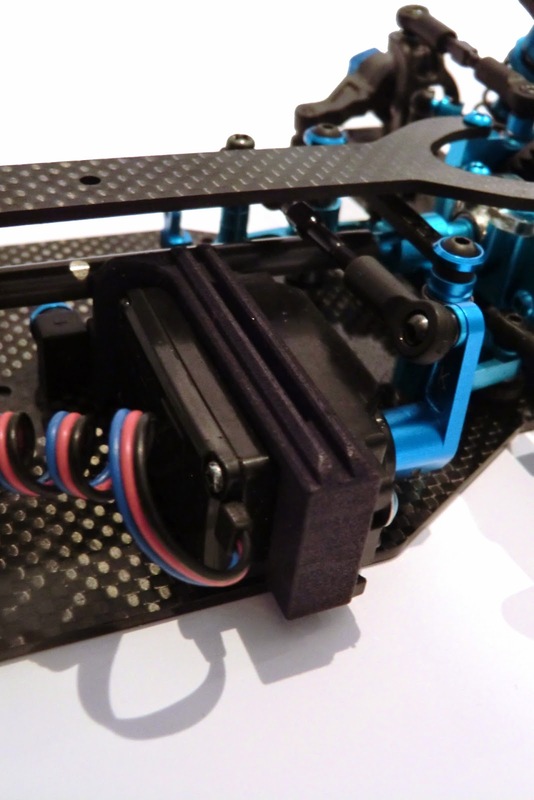 A 3D Printed part for the servo mount, it's working well and is strong enough to use at the track. 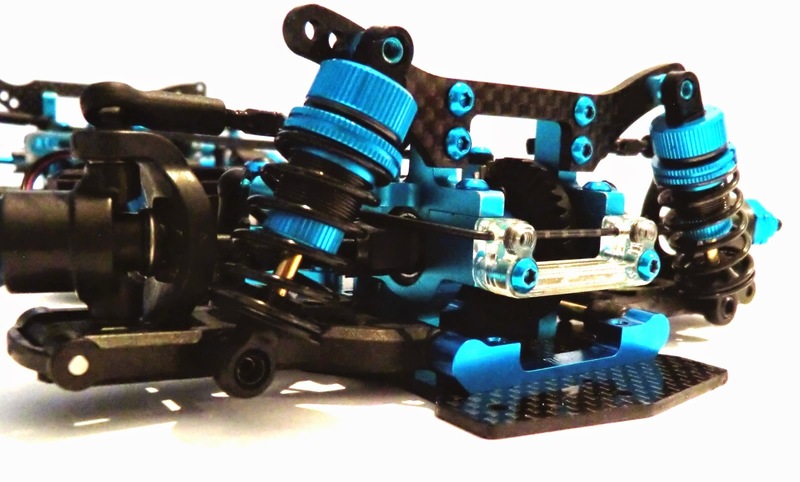 Will only fit this special chassis, while chassis is more narrow the servo hangs over with the chassis being allowed to flex more for better mechanical grip. 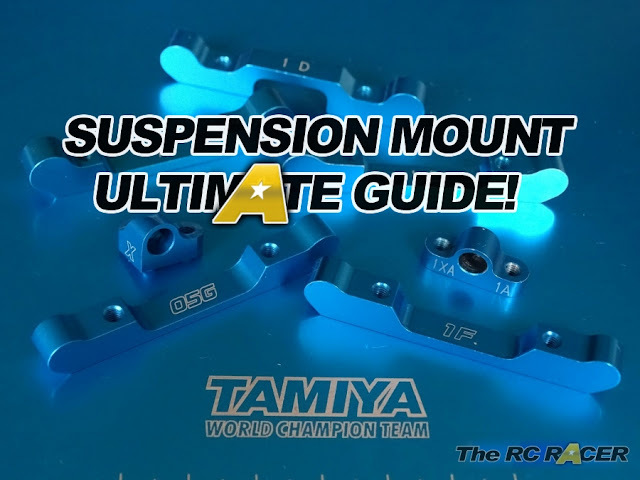 The front end as 1C at the front and 1C on the inner front suspension mounts. 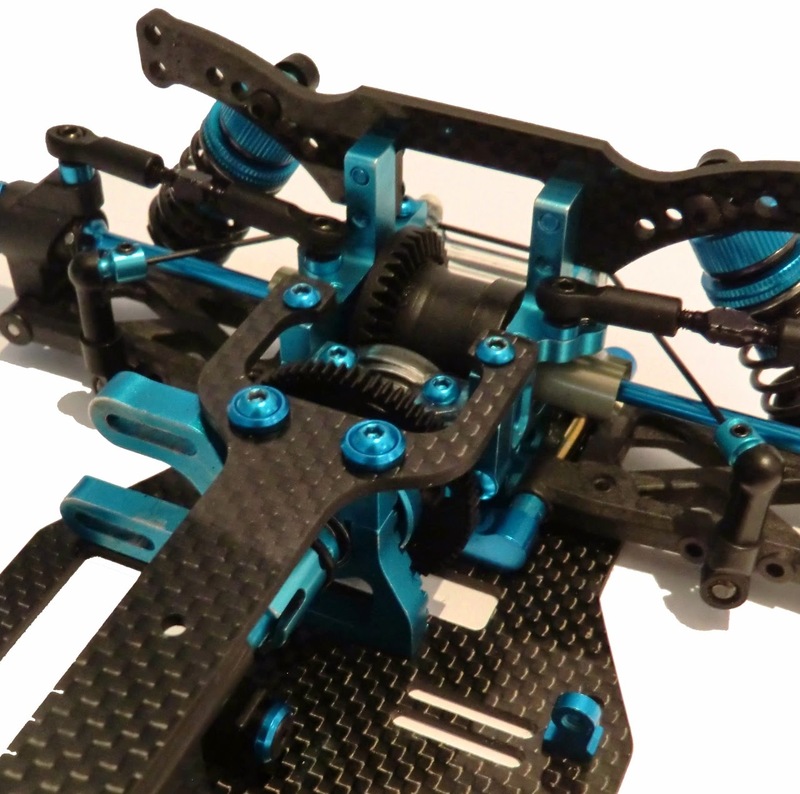 I also updated the car with the aluminium suspension mounts from the TB03 / TB Evo V / VI. The Evo IV is/was using very some high roll-centre positions, now I have more set-up options to adjust the roll, sometimes I like more movement in the car so the low roll-center positions are great. 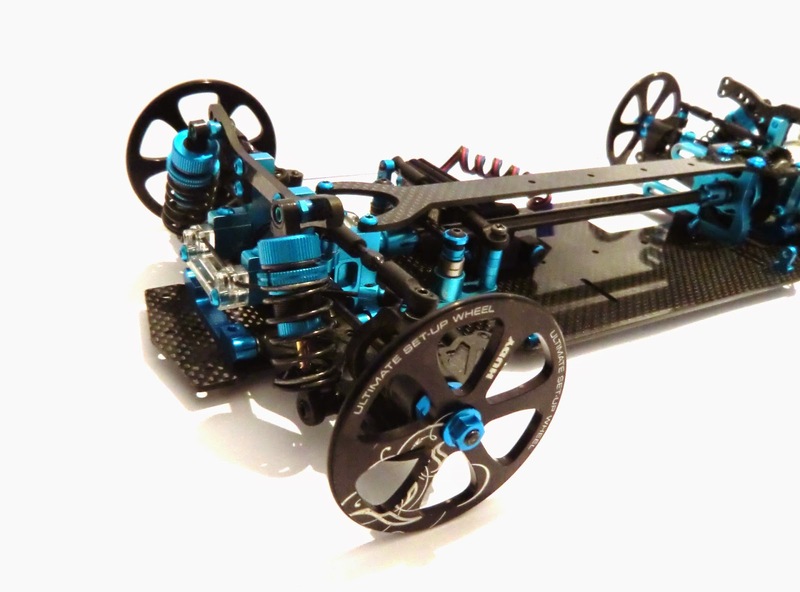 I tried the car in a 17.5 blinky class (with motor timing) and the car was working great all weekend. There was not a load of racers but it was a perfect time to check the car and parts. I could TQ and win all A-mains. Next up was the time to take the car at my local indoor track. 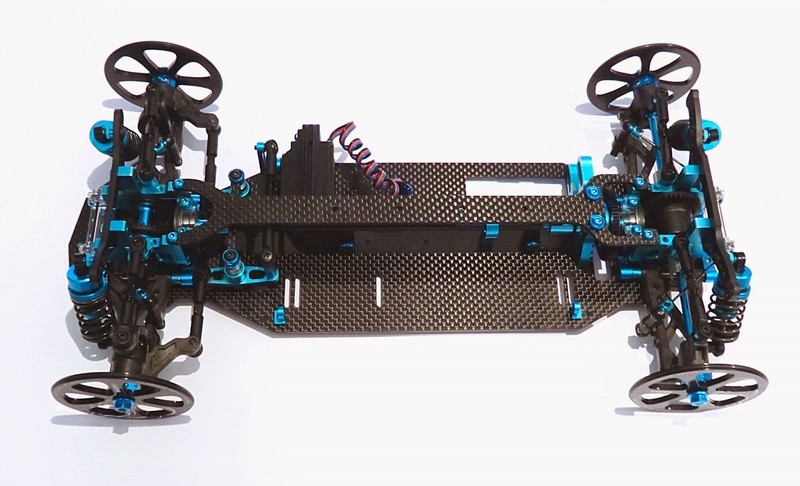 I was very fast with this chassis straight from the first time I placed it down, and after only two batteries I could manage the same lap times as my old Xray T3 2012 which the car had replaced. (This is also with the same electronics). I was really happy with this result. The car was feeling really competitive on the track and I have a great base to discover even more potential with the chassis to ensure the car will be even faster once I perfect the set-up. Thanks again to Eric Bresser, I hope you like what you have seen, It would be great to hear about other racers who have transformed their old cars to be battling back on track. 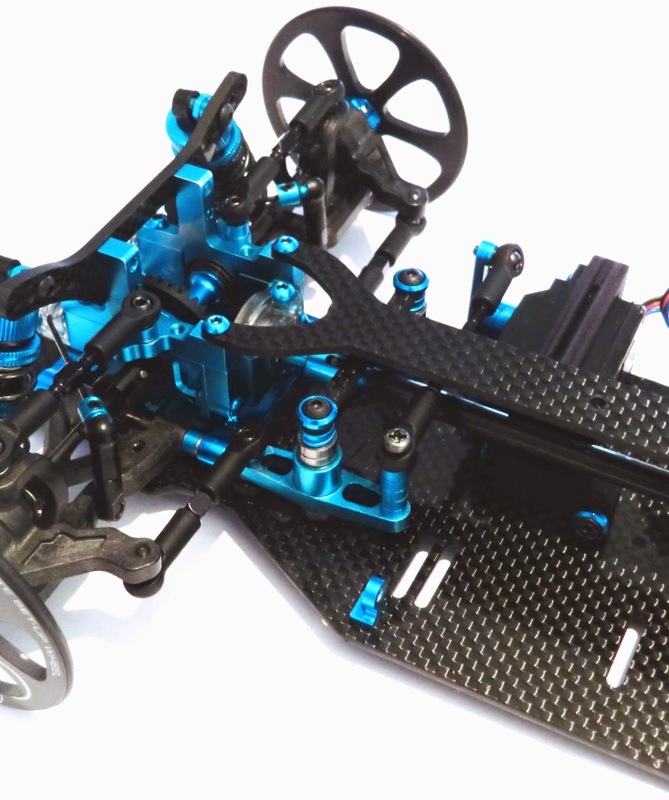 I'd be interested too in getting more info about the chassis as I'd be able to get the aluminum chasiss cut. It'd be great if you could pass the info. You can send me a message via the contact form and I can put you in contact with Eric who has made this excellent conversion. The item #54592 (w/o others mod) can combine with original EVO IV gear to replace the spool #49359 (not to be found)? Is there a parts list needed to upgrade the car? And I’m very interested in your cad files of the chassis and top deck. It would be very kind id you can share it with me to upgrade my evo4. Thank you! My email adress is gabrielzhang030123@163.com , you can reply there.